Thursday 20th JUNE - SUMMER SOLSTICE LABYRINTH CEREMONY! More detailed info coming up! LOOKING FORWARD TO SEEING YOU IN ANY OF THE GATHERINGS! Anthar Kharana is native from the land of the Hacaritama people up in the Andes in the north of Colombia, a land where ancient warriors used to live. He is a guardian of the sacred fire and traditional medicines of the Americas, born in 1977 he has been guided and supported by wise Elders from his homeland from the age of 14. He is also a music composer and sound healing practitioner. Over the last 16 Years Anthar has been traveling and sharing the wisdom of the Sacred Fire and Ancestral Sound and its relation to the Plant and Animal Kingdom Medicine. He leads traditional ceremonies, sound journeys, conferences, workshops, concerts, therapies and retreats in different countries around the world including, Colombia, Chile, England, Scotland, Wales, Ibiza, Bali, Poland, France, Portugal, Switzerland, Rumania, South Korea, and Italy. He is the Director of TRIBAL SOUND HEALING in the UK and Colombia and the TAMBORA FOUNDATION (Preserving Ancestral Wisdom for the Future Generations) and Founder of the SCHOOL OF ANCESTRAL WISDOM in Colombia. 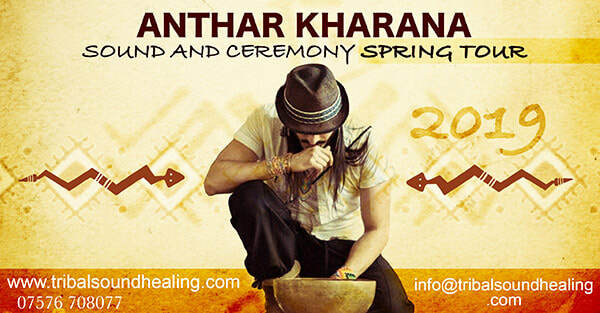 Anthar also co-directs the first school of sound healing in Scotland ANSU School of Sound & Tribal Healing Arts.